Falling on March 6, Rangpanchami is thoroughly lauded in Maharashtra, Gujarat and Madhya Pradesh. People enjoy the day by throwing colours of joy and happiness in the air. Make sure you don't forget to the share our latest collection of Happy Rangpanchami messages and wishes in Marathi for 2018: WhatsApp messages, Rangpanchami wishes and greetings, SMS, Facebook posts with your family and friends just to let them feel special and loved. Celebrated on the fifth day of the second fortnight of the Phalgun month, Rangpanchami literally meaning colours on the fifth is thoroughly lauded as Phalgun Krushnapaksh Panchami. 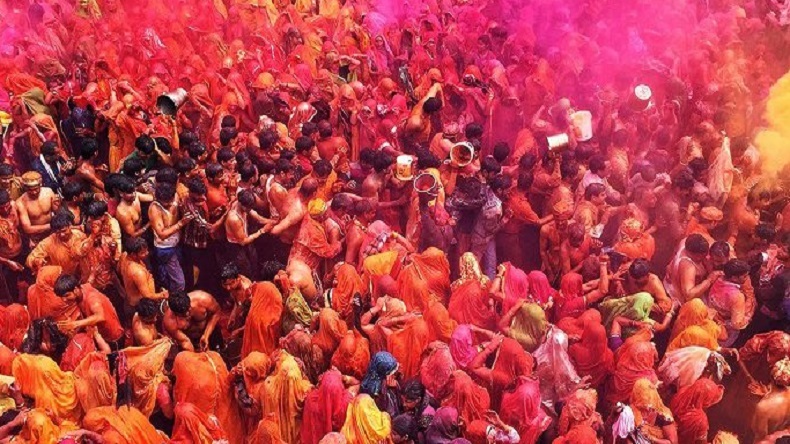 The festival of colours is relevantly played in the states of Madhya Pradesh, Maharashtra and some parts of North India. Just like Holi, fragrant colour powder and water are used to celebrate the day. Although, the trend with time has changed and now people prefer playing on the full moon day that is Holi but people from rural areas celebrate Rangpanchami on the fifth with enthusiasm and zeal. Rangpanchami will be celebrated on March 6, this year. It is said that after Holika Dahan, the rajas and tamas elements in the air attracts the dieties by throwing of gulaal (red powered colour) or colours in the air invoke the satvik elements in the atmosphere. If you are putting up in another city or country, make sure you share our latest collection of Rangpanchami wishes and messages to greet your near and dear ones this festival. Play the colours of joy, happiness and prosperity with your beloved ones! I may not put colours on your face on this festival. But I pray to god to add more colours to your and family’s life.